Plastic Binding Screws are an economical alternative to metal binding screws, and have a clean, minimalist & modern look. Available in 12 different capacities from 5mm to 50mm with a choice of black and white. 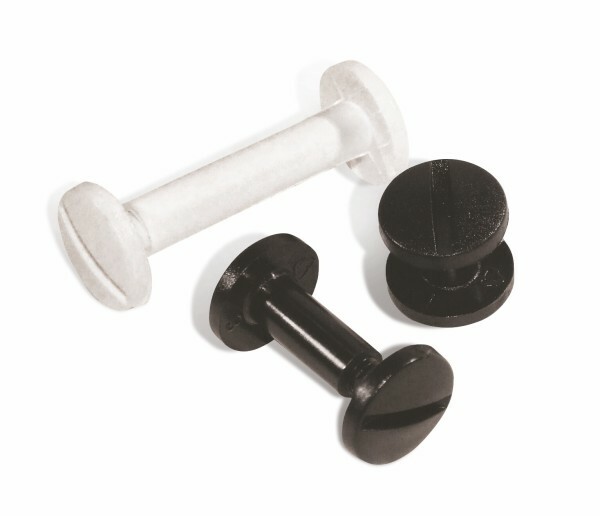 Use plastic binding screws for binding swatches, programmes etc. Can be rapidly assembled using a hammer. Shaft dimension 5mm, head diameter 12mm.